As per Information available with us only 33 per cent of registered persons filed Service Tax returns in 2013. Table below depicts data on the number of persons registered with the Service Tax Department for the period FY2008-09 to 2012-13. The number of registered persons increased by about 50 per cent in this period. Those filing statutory returns had been rising steadily up to 2012. However, in 2013, the number of taxpayers who filed returns fell short of the previous year’s figure by approximately 1 lakh. Further, only 33 per cent of registered persons filed returns in 2013. 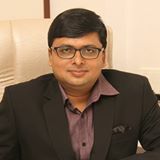 *With effect from July 1, 2012, most activities involving consideration with a few exclusions/exceptions are liable to ST.
Director General of Service Tax has prepared and circulated a Plan of Action to the Chief Commissioners, which required the field formations to obtain information on unregistered service providers from different sources such as Yellow Pages, newspaper advertisements, regional registration authorities and websites, information from municipal corporations and major taxpayers including PSUs and private sector organisations regarding various services being availed by them. Subsequently, CBEC issued instructions to create a special cell in each Commissionerate to identify potential taxpayers. One of the reason for such high percentage of non-filers is that Procedure for service tax Registration is so tough and lengthy that once you registered with service tax department you gets yourself registered forever. Due to this complicated Registration cancellation procedure Assessee who are no more providing taxable services or who are having turnover below the taxable limit finding it difficult to surrender/cancel Service Tax Registration. Govt. should come up with a simple Service Tax Registration cancellation procedure without any penalty for non-filers for persons who are although registered with Service Tax Department but not having taxable turnover or having the same below the taxable limit.